Marijuana small-cap stocks can provide enormous gains. Or quick ruin. 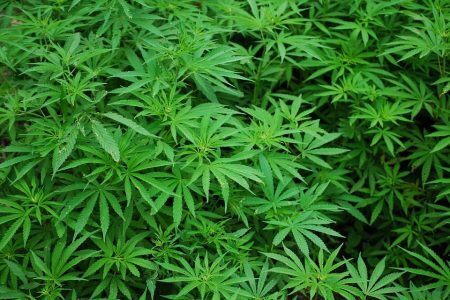 Let’s examine the pros and cons of Aerogrow International (OTC: AERO), a $81.7 million market cap canna-business. Aerogrow is what we refer to as “cannabis adjacent” stocks. These companies aren’t necessarily about growing marijuana nor are they developing cannabis-derived drugs. These stocks cut two ways. On the one hand, we love plays like this. They’re infrastructure stocks that can be wildly profitable. Alas, most of these marijuana infrastructure plays are penny stocks with very little revenue. That’s because the entire cannabis industry is in its infancy and nobody knows where it will go. Sure, the marijuana business is growing. But a shakeout could be imminent. So don’t expect us to be enthusiastic about most marijuana penny stocks. But it’s still possible to find a hidden gem. Our AERO stock prediction will examine the details about the company and see what 2019 has in store for it. Aerogrow operates in the hydroponics business. AERO’s major advantage: it has the deep-pocketed Scotts Miracle-Gro name behind it. Aerogrow develops, markets and sells (both retail and wholesale) indoor garden systems. The firm uses proprietary seed kits to grow flowers and vegetables, targeting both experienced and amateur gardeners. The firm supplements its product line by selling support accessories, such as lights. Aerogrow’s major advantage: it’s supported by the juggernaut Scotts Miracle-Gro (NYSE: SMG), which owns 80% of the company. Scotts Miracle-Grow is a $3.8 billion market cap firm famous for its lawn care products. Scotts jumped into the cannabis world with its Hawthorne Gardening Company. Scotts offers products that include hydroponics, plant cultivation, plant nutrients, and horticultural products through its Vermicrop Organics brand. SMG also offers specialized lighting products through its Gavita Horticultural Lighting and Agrolux brands, and also sells filters, fans and accessories. How Has Aerogrow Stock Performed? What is Aerogrow’s Stock History? Over the past 12 months, AERO shares have fallen 0.8% whereas the S&P 500 has gained 2.3%. Over the past two years, AERO shares have fallen 25.6% whereas the S&P 500 has gained 16.6%. Over the past five years, AERO shares have lost 67.1% and the S&P 500 has gained 46.7%. How Has Aerogrow Performed in 2017/2018? In 2017, Aerogrow shares lost 38.6% whereas the S&P 500 gained 19.3%. In 2018, Aerogrow shares lost 35.1% whereas the S&P 500 lost 7.5%. CannaGrow Holdings is another penny stock without much real business. It offers site management and marijuana facility development, in exactly one location in Colorado. CannaGrow (market cap: $86 million) claims this facility has Colorado’s first probiotic, living soils grow operation. It apparently uses only healthful, non-toxic methods to ensure the cleanest yields. The company says the facility doesn’t use fertilizer or chemical pesticides. The facility also mixes natural sunlight with lighting packages in greenhouses to mitigate energy costs. Future Farm Technologies (market cap: $31.4 million) provides cannabis growing services and cultivates hemp. Future Farm deploys controlled environment agriculture systems that are designed to use as little land, water and energy as possible. Future Farm has designed a vertical farming solution that uses LED lighting. The company also produces cannabis oil and purified distillate. Hemp (market cap: $21.8 million) focuses on end-user products in industrial processing, such as DrillWall to prevent drilling leaks in oil and gas operations; DrillWill which acts as a lubricating agent to prevent drill parts from sticking; and Spill-Be-Gone for emergency spills of toxic materials. The company creates these various products by using the versatile organic properties of the hemp plant. Aerogrow has a nice little business, at least as far as revenue goes. Lately the rate of revenue increase has accelerated. Revenue of $17.9 million in fiscal year 2014 grew about 9% to $19.6 million in FY15. Then it leapt 20% to $23.6 million in FY16 and another 36% in FY17 to $32.2 million. Revenue is about $36 million over the past 12 months. Aerogrow never really made any money, but it never lost much, either. Most years the loss was under a million bucks. However, it did turn a profit in two of the last four quarters, $391,000 in Q3 and and $647,000 in Q4. Aerogrow is getting traction in major retail stores and e-commerce sites. With a market cap of $74.5 million, the stock is valued at only 2x revenue. That’s not an unreasonable valuation. The most compelling aspect about Aerogrow: the company is 80% owned by Scotts Miracle-Gro, which put up a $4.5 million stake for the company in 2013, and then exercised warrants to push that ownership stake to 80%. After the company took in the $47.8 million from the warrants, it pushed $41 million of it right back to shareholders. Consequently, Scotts effectively valued the company at about $95 million at the time. Full year revenue was $23.6 million, so Scotts put up 4x revenue. With the stock at least $20 million under that valuation now, it would imply $0.60 upside per share should Scotts buy out the rest of the stake. However, at the same 4x revenue valuation, that would push the value to $130 million, or $1.74 higher from here. AERO is in a strange position, as far as the stock is concerned. The company itself is chugging along. It doesn’t make any real money, but it isn’t losing much, either. Clearly, Scotts would not have taken an 80% position in Aerogrow if it didn’t see its potential. And I think that’s the key here: potential. Remember, Aerogrow wasn’t a marijuana company until marijuana became legalized. Buying a stake in Aerogrow for $4.5 million, and then buying up a big stake for another $48 million is peanuts to Scotts. However, now that marijuana is “the next big thing,” Scotts may have gotten itself a bargain. The folks at Scotts know gardening. They know hydroponics. If it’s green and it grows, Scotts is the expert. Except Scotts already owns 80% of the company. So if there is upside here, it will strictly be the result of Scotts buying out the rest. We don’t see much upside in the stock from the perspective of organic growth. However, the stock price has a solid floor here at about $2.10. So what is our AERO stock prediction for 2019? As mentioned, we think AERO stock has a floor around the price of $2.10 per share. It could certainly go lower, but with Scotts as majority holder, and the expectation that Scotts will buy out the rest, we don’t see why sellers would pile onto the company this year. By no means is it certain that Scotts will buy out the rest of the company. If it did, though, and the company were at a $130 million valuation, then Scotts would throw $3.80 per share at the company…and the company would distribute most of that to shareholders. So with that floor in place, we see AERO going higher in 2019, maybe as high as $2.50 per share. It goes even higher if Scotts buys out the company.